Old Country Capers | Sharing our travel adventures, misadventures and discoveries. Sharing our travel adventures, misadventures and discoveries. 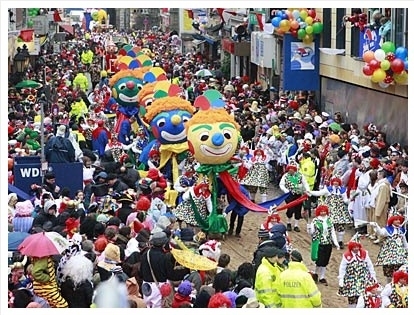 Today, March 4th, marks the culmination of carnival season (Fasching) in Munich. 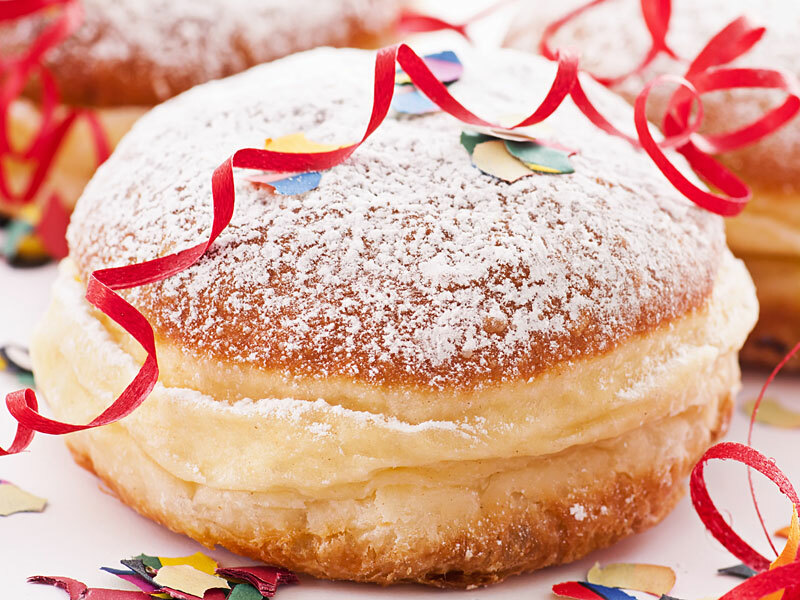 Fasching begins January 7 and and continues through Shrove Tuesday, the first Tuesday in March. During this “crazy season“ every society, corporation or guild throws its own Fasching ball and the attendees dress in costume. Thus, there have been Halloween-type costumes in the stores since the beginning of the year. As the season progresses, so the number of parties increases. The celebration themes and locations are quite varied, ranging from the Washer-women’s Ball, the “Carnival in Rio“, the Fashion School’s Ball to that of the local sports club. Then there are the children’s Fasching parties, the private parties and the impromptu office celebrations. The list is endless and almost all of them involve drinking beer. During Fasching season, Fasching doughnuts (pictured) are sold by the dozen. The wildest days of Fasching are the last ones, culminating in a climax on the Sunday preceding Shrove Tuesday, as well as Shrove Tuesday itself (AKA Fat Tuesday). 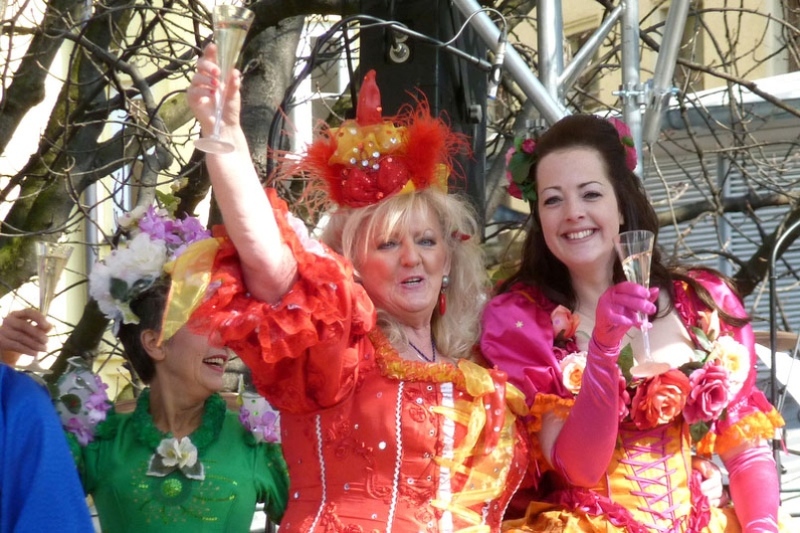 All in Munich are invited to join in the masquerading, singing, dancing and general frolicking in the city center on Fat Tuesday, which is also the final day of indulging in debauchery before Lent begins the next day, Ash Wednesday. All the revelers come out to celebrate – very much like Mardi Gras in New Orleans. It is so popular here that some stores close mid-day so the employees can celebrate in traditional Munich fashion. The locals’ livers are getting extra practice here today, and tomorrow the pharmacies will be overflowing with patrons seeking the German equivalent of Excedrin Migraine. Either that or the sufferers will be chewing on coffee beans and eating pickles and salty herring, the traditional German cure for a hangover. Lent may be a time of fasting (abstaining from SOLID food), but Munich natives have solved the dilemma of finding balance between abstinence and revelry. So HAVE NO FEAR – Starkbierzeit, Strong Beer Season, is almost here! The year’s first beer festival is celebrated with fervor and Lenten devotion. Serving the same unfiltered brew as at Oktoberfest, they say one Liter of “starkbier” is like eating 16 loaves of bread. Strong Beer Season is known as the 5th season in Germany. It begins on March 13th and lasts two weeks to help everyone survive the remainder of Lent … and trust me, they’re just getting started! If you enjoyed this post, please follow our blog by clicking “Follow Old Country Capers” at the top of this page, on the right near the title of this post. You’ll receive future posts directly in your inbox! And we promise — no spam! On a beautiful Autumn day in October we went with our German friends, Georg and Eva, on a hike. We didn’t take the camera as we were not sure just how strenuous the hike might be, so we only have these few cell phone pictures to share. The hike was near Lake Staffelsee (known in Germany as The Staffelsee), about 43 miles south of the center of Munich, where we live. The Staffelsee is slightly over three square miles in area, and has a depth of up to 125 feet. The circumference of this lake is approximately 12 miles, so we only walked near a small portion of the shore. With a total of seven, tree-covered islands, it has more islands than any other lake in the Alpine foothills, and offers countless opportunities for enjoying an easy but beautiful walk. 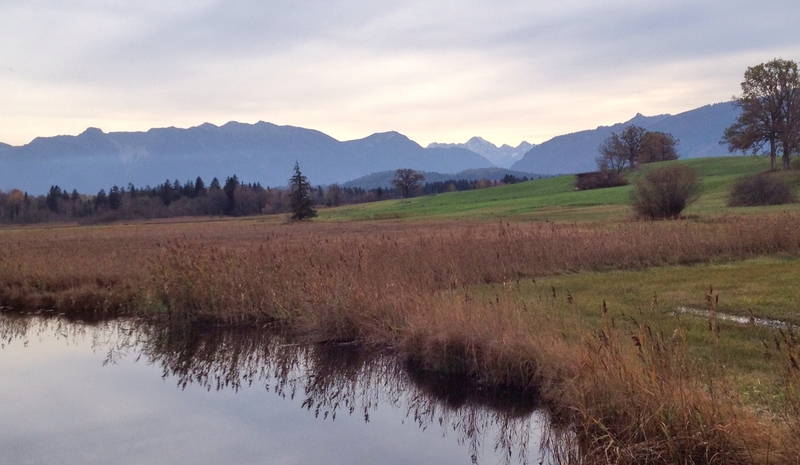 The scene is unforgettable as the majestic (not yet snow capped) peaks of the Alps rise in the distance and are reflected by the water, along with the of the nearby rolling hills. The area’s natural beauty made for a glorious scene as we strolled along with our friends and their dog. 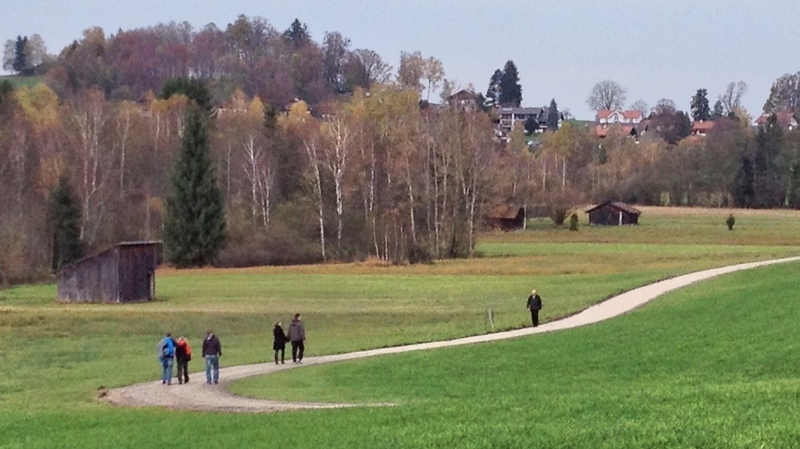 This area was famously described by artist and writer Heinrich von Kleistthe, as a “region of poet´s dreams”. 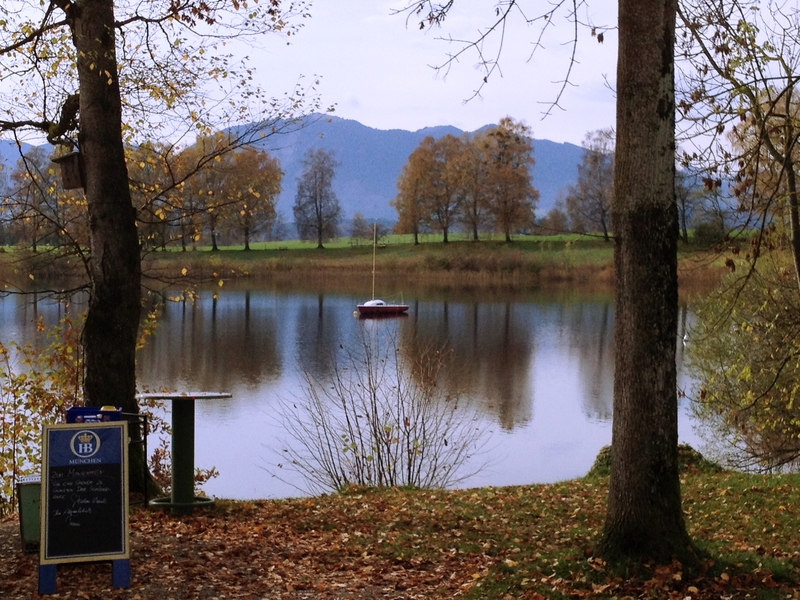 The Staffelsee and nearby village, Murnau, has also been a source of inspiration for many artists, as documented in the Murnau home of Gabriele Münter and Wassily Kandinsky, which is now a museum. After the hike, we stopped for lunch in one of the nearby villages. Spending a day away from of the center of Munich, where the activity is constant, was a welcome change and we had a very lovely day. Georg and Eva were so kind to welcome us, show us the beautiful countryside, and take us to a nearby village to introduce us to a different side of Bavarian life. They made us feel very welcome. It is Bavarian hospitality at its finest! 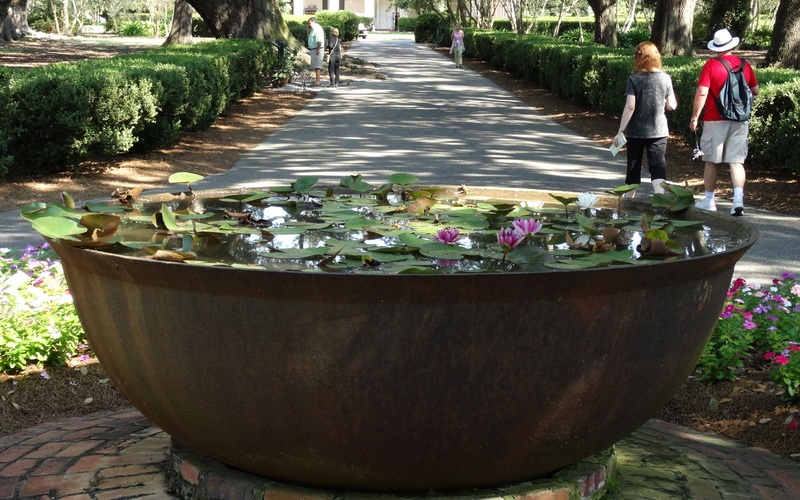 Final installment of our trip to New Orleans: While our husbands worked, the ladies and I took a day trip to one of the nearby historical plantations in Vacherie, Louisiana. Oak Alley Plantation, known as ‘The Grande Dame of the Great River Road’, like many southern plantations was originally established to grow sugar cane. This plantation was originally owned by a Creole family. The Creole were descendants of the French and/or Spanish colonial settlers in Louisiana. To this day they are a very proud people purposely creating an insulated community of their own and maintaining their traditions. Along our entrance walk we meandered through the property, meeting a new friend and appreciating the stunning and artistic displays of history. We stopped outside for a Mint Julep, a specialty of the South, then began our tour of the plantation home learning some very interesting colonial era history while being regaled with stories about the family who originally owned this plantation. 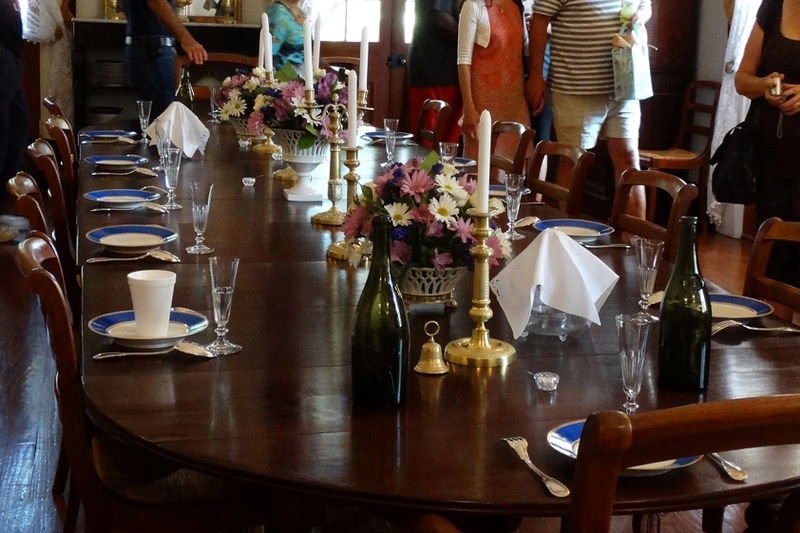 The plantation was built in 1837-39 for a very wealthy and well connected Creole sugar cane farmer, Jacques Telesphore Roman III and his wife, Marie Thérèse Celina Josephine Pilie (commonly known as Celina). Jacques was the brother of the governor of Lousiana, and the brother-in-law to Lousiana’s Sugar King. 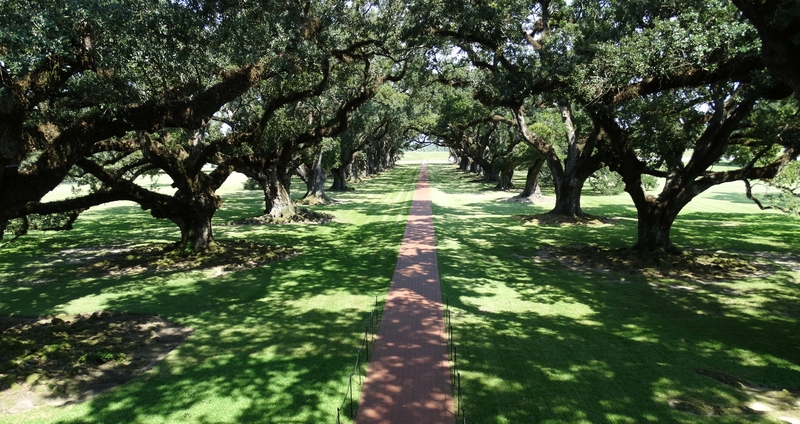 Although the Romans called their new plantation home “Bon Sejour,” it would eventually be dubbed “Oak Alley”. 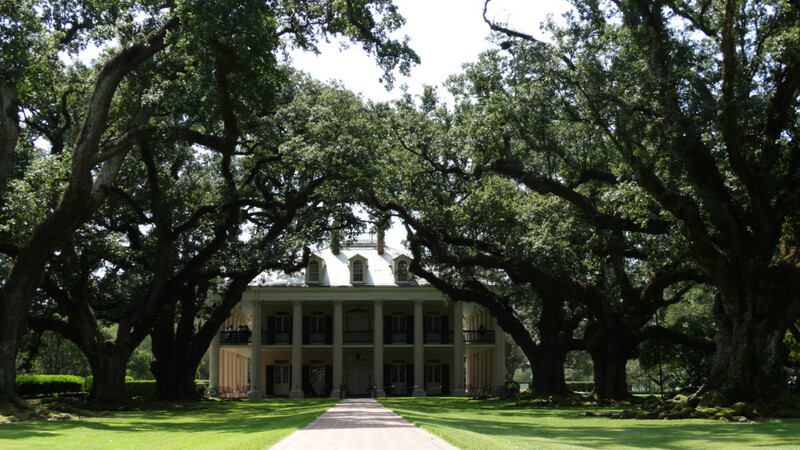 The magnificent double row of oak trees framing the house at one end and leading to the Mississippi River at the other, lends this plantation the most spectacular setting in the entire Mississippi River valley. The trees have grown to their full height, and the trunks are over 20 feet in circumference. The branches soar into the sky, intertwining to create a fantastical canopy over the alley. Celina’s father was a New Orleans architect, who provided the plans for the soft pink, two story house surrounded by 28 columns and its surrounding estate, ensuring it suited her elegant and refined taste. And Jacques was excited to provide his bride, Celina, with her dream home. The house includes a square floor plan, organized around a central hall that runs from front to rear on both levels. The living and dining rooms, kitchen, parlor and sitting rooms are on the first floor. The house was designed with high ceilings, large windows, and a symmetrical interior, allowing the frequent gulf breeze to cool the house naturally and efficiently. 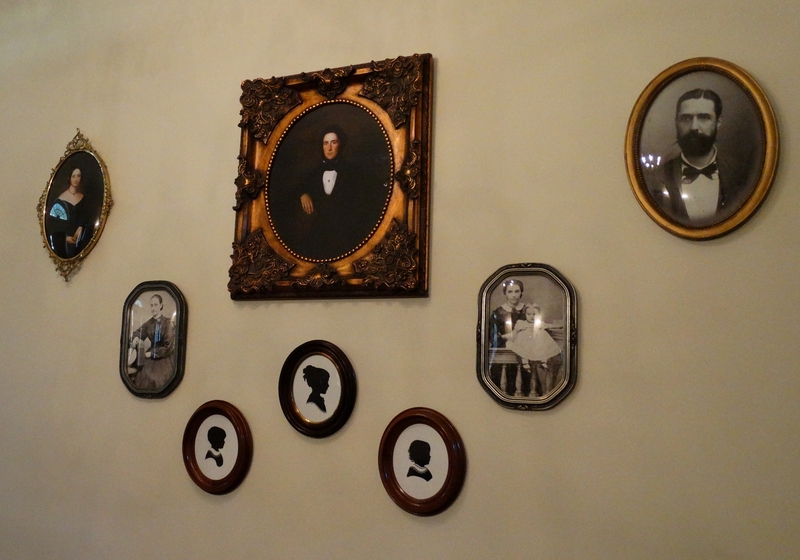 The family portrait wall gives us a poignant glimpse into the harshness of the realities of life in the late 19th century. Jacques and Celina were blessed with six children, however only three of them survived beyond their toddler years: Octavie, Louise and Henri. The other three are shown here in remembrance via silhouette cameos. All of the bedrooms are located on the second floor. 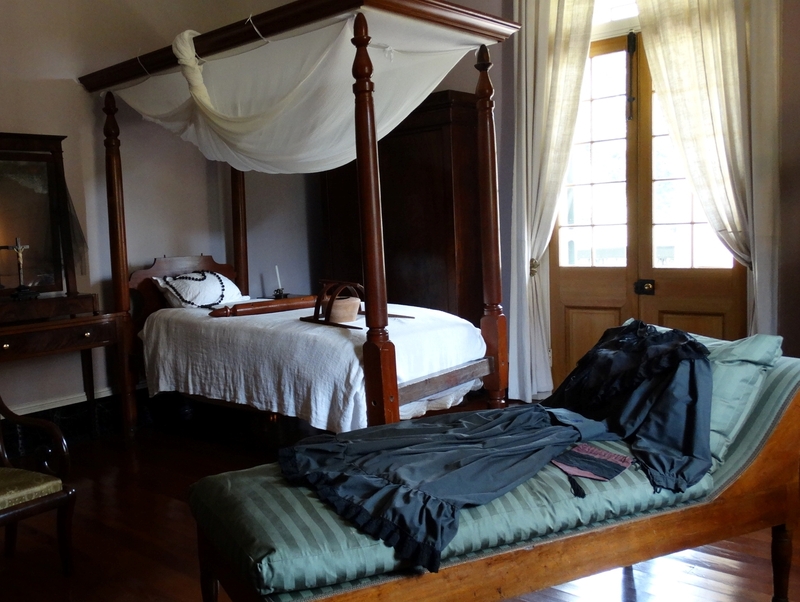 The rooms are decorated with antiques, displaying life in the 1800s. 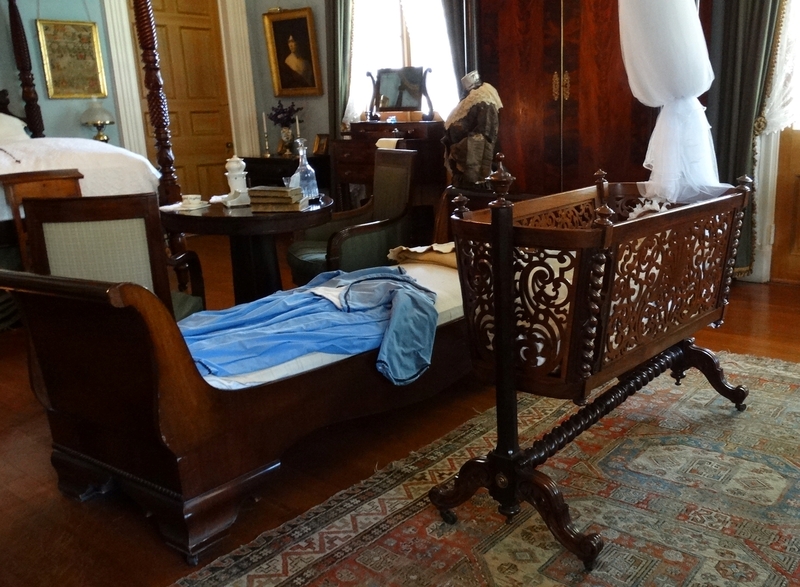 The bedroom shown on the left is the Nursery, and on the right, the Mourning Room. There is also a second-floor gallery providing a great view of the surrounding landscape. 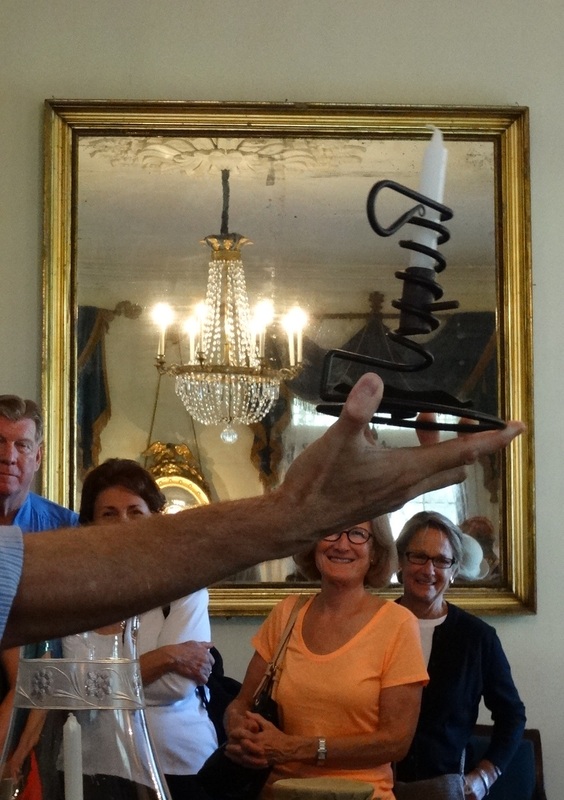 One significantly historical item we learned about during our tour was the Colonial-era Courting candle: A spiral, iron-forged, adjustable height candle holder, used to limit how long a suitor was welcome to visit. A young woman’s father would set the candle to the height of his choosing in the candle holder. When the candle melted to the top of the holder, it was time for the suitor to leave. In other words, if a particular suitor was not to the father’s liking, the candle could be placed low in the holder, burning quickly to the top of the holder. An acceptable suitor might find the candle placed higher in the holder. 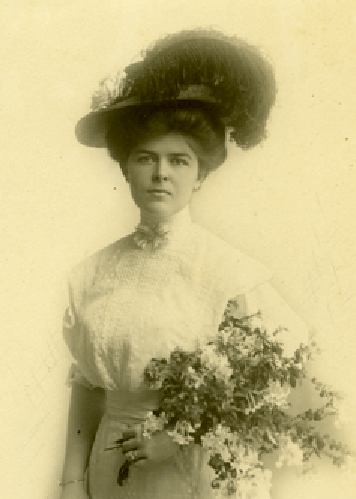 Louise, being raised in upper-class Louisana culture held as tightly to proper Creole traditions as her family did. This was why she lost her temper when she was called upon by a suitor, who was not altogether a gentleman. He called on her one night in a state of intoxication, attempted to kiss her, and she fled from him like a proper Creole lady should do. Unfortunately, she tripped and fell on the stairs. She was wearing an iron ring hoop skirt at the time and the hoop sliced a serious wound in Louise’s leg. Despite medical treatment the cut refused to heal and Gangrene set in. Louise became very ill, and she had to have her Ieg amputated to save her life. This led to her being rejected by potential future suitors as she was then considered unsuitable to marry and run a household with only one leg. Louise never quite recovered emotionally from the social ramifications of the amputation. After her mother’s passing in 1867, she left the plantation for St. Louis and decided to become a Carmelite nun. In 1877, Louise along with a group of other nuns, returned to New Orleans and formed the Monastery of St. Joseph and St. Teresa of the Discalceated Carmelite Nuns of New Orleans, Louisiana. She is revered in New Orleans to this day. Between 1836 and the Civil War there were 198 men, women and children who were slaves at Oak Alley. 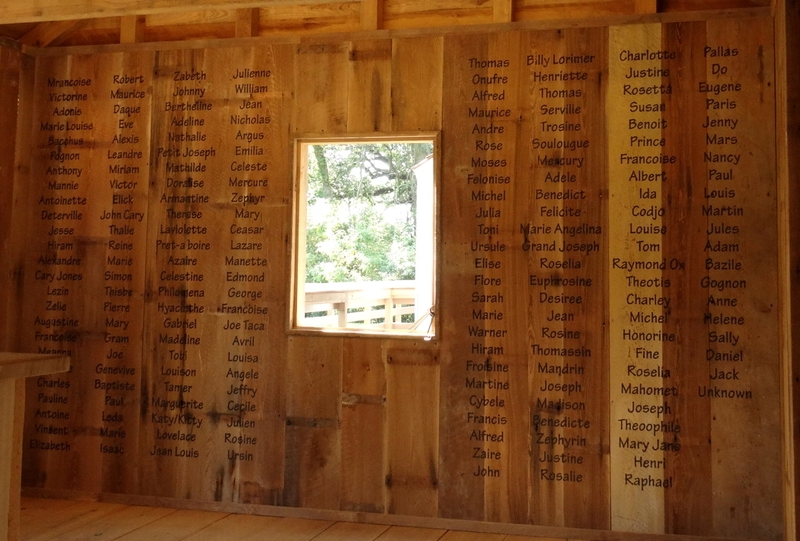 This wall, in one of the slave quarters, is a respectful recognition of those that helped build this Plantation (click for larger image). Sadly for most, their first name is all that remains of their story. The most noted field slave who lived on Oak Alley Plantation was named Antoine. He is listed near the bottom of the far left column. Dr. Colomb, had tried and failed repeatedly to create a new variety of pecans with thin shells that would be suitable for commercial processing, instead of those that grew in the wild with thick shells that were difficult to crack. Frustrated, Dr. Colomb called upon Antoine’s talents to help him. Being a master of the techniques of grafting, after trial with several trees, he successfully produced a variety of pecans in 1846 that could be cracked with one’s bare hands; the shell was so thin it was dubbed the “paper shell” pecan. 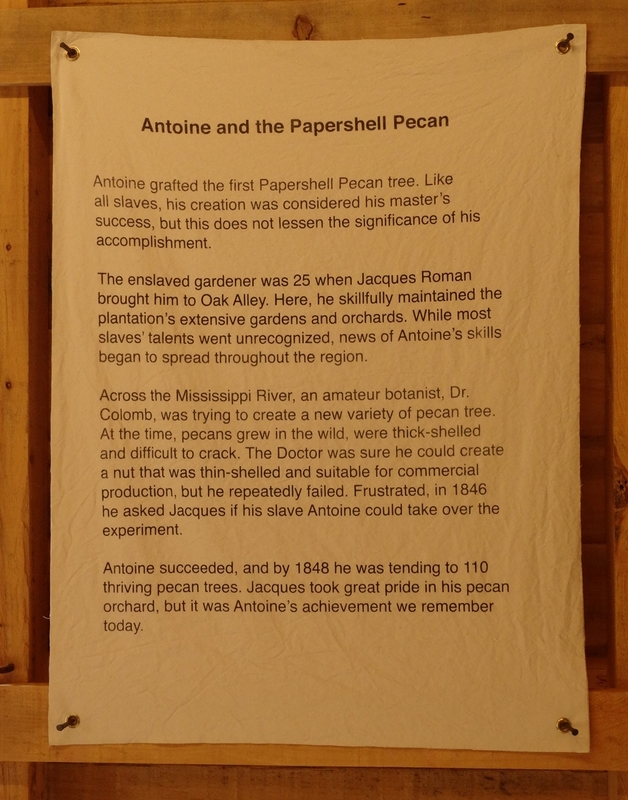 Soon, Antoine was tending to 110 thriving pecan trees. Antoine’s efforts will forever be remembered. When Jacques Telesphore Roman died in 1848 of tuberculosis, Celina took over management of the plantation but, typical of that day had no business or farming experience. Combining her lack of experience with her proclivity for lavish spending, Celina nearly drove the plantation into bankruptcy. Jacques’ only surviving son, Henri, assumed the responsibility for family affairs in 1859. His valiant efforts to preserve his family’s position and holdings failed against the overwhelming social and political turmoil resulting from the Civil War. Thus, the Roman family joined the ever-growing tide of once powerful Creoles caught in a downhill slide toward oblivion. In 1866, Henri was forced to auction off the plantation along with all but their most personal belongings for $32,800 (worth $482,353 in today’s dollars). The plantation changed hands a few more times until in 1905 when the house was boarded up and left to face the elements. Bats and other creatures, domestic and wild, took up occupancy, and what had once been the site of envied elegance was at risk of disappearing in the shadows of the oaks and overgrown underbrush. But in 1917, Jefferson Davis Hardin, Jr. became the new owner of Oak Alley. He poured his fortune and dreams into the plantation, devoting special care to the farm and orchard. Under the care of Mr. Hardin and his family, Oak Alley once again began to thrive. However, like so many of the area’s planters of the time, Mr. Hardin came to the end of his resources after a run of misfortunes in the form of fires, floods, sickness in his herds, and even a costly court litigation. In 1924, his dream of rehabilitating the mansion never realized, he signed Oak Alley over to the Whitney Bank, and silence again settled over the plantation. In 1925, Mr. and Mrs. Andrew and Josephine Stewart purchased the Oak Alley Plantation and were the final owners. Their restoration of Oak Alley was one of the first along the Great River Road and began the trend toward saving old plantation homes. For the Stewarts it was “love at first sight” with Oak Alley, and they saw its historic and aesthetic value and felt it was a privilege to live there. To insure the house would remain open for all, Mrs. Stewart bequeathed the mansion and 25 surrounding acres to the Oak Alley Foundation trust. Today, Oak Alley Plantation is a National Historic Landmark. This designation was based, in part, upon the spectacular trees and the Oak Alley that still graces this historic home. Shortly before leaving I spotted this guy, who was apparently reminding me that life is what you make it. Just remember to nap once in a while! I’m sure many of you would agree. 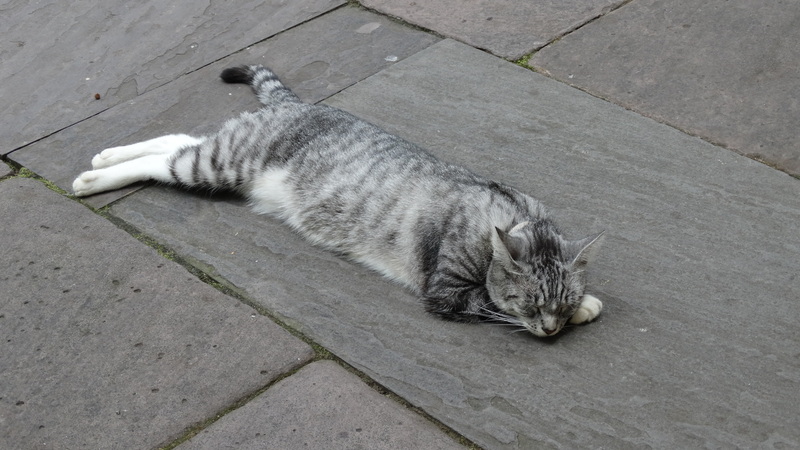 Naps are the cat’s meow, right? 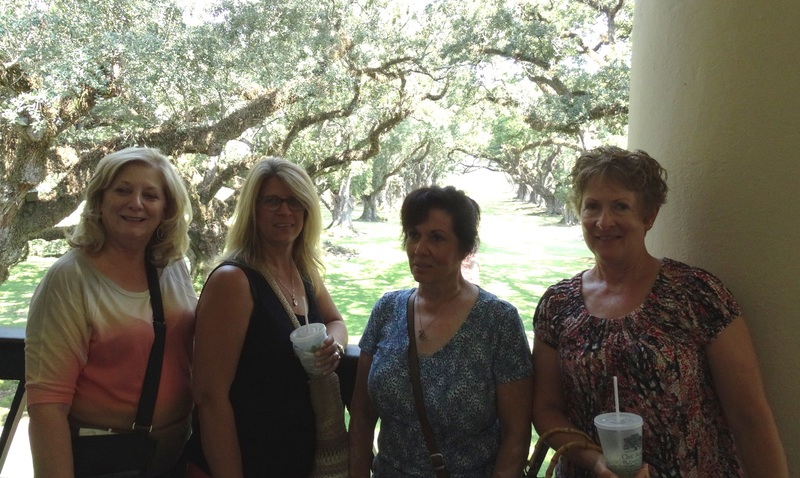 We had an unforgettable day trip learning about the great history of Oak Alley and drinking Mint Juleps! Some of us decided we could enjoy living out our days on this beautiful plantation. If you’re ever near New Orleans, be sure to stop in. If you enjoyed this post, please follow our blog by clicking “Follow Old Country Capers” at the top of this page, on the right. You’ll receive future posts directly in your inbox! And we promise — no spam! Mid-week while in New Orleans, I took a Photo Safari Workshop. I was very excited as I had been waiting for a similar opportunity in Munich but nothing had come up at a time when I was available. It was a perfect opportunity! My instructor, Natasha, was friendly, knowledgeable, patient and accommodating. She shared with me that even the pros don’t get every shot perfectly composed, lit and in-focus on the first try; it usually takes a few bad shots to get a great one. It was reassuring to learn that every photographer takes bad photos. So, with that hope I thought “maybe I can do this after all!” I was amazed at how much I learned in just a few hours. We started our Photo Safari in the Historic Jackson Square, named in 1815 in honor of the Battle of New Orleans hero, and future U.S. President, Andrew Jackson. The park is peaceful and lovely with iron fences, lush gardens, and Parisian-style landscaping that remain intact from the square’s original design. 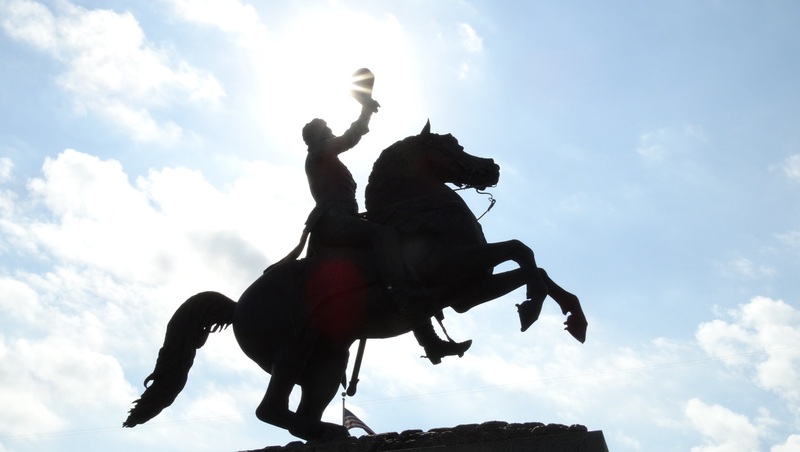 The statue of Jackson was erected in 1856, and is a timeless attraction in the heart of the French Quarter. 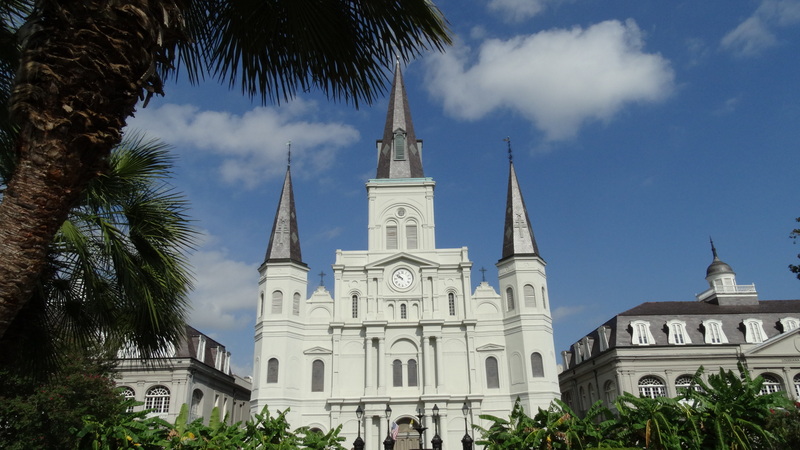 The statue is back-dropped by the stately St. Louis Cathedral (shown above), which was designated as a minor Basilica by Pope John Paul VI in 1964. As you can see, the weather was terrific and it was close to mid-day, both of which can present lots of lighting challenges – and I was glad to learn how to work around those as I regularly encounter those issues when we are sightseeing! As Natasha lead me on a tour through the charming French Quarter, I learned how to accomplish some techniques I’d been attempting failing at without knowing how to use the advanced camera settings. So after she educated me, I was able to capture some great photos — ON PURPOSE! Getting to see the beautiful French Quarter at the same time was a definite bonus. 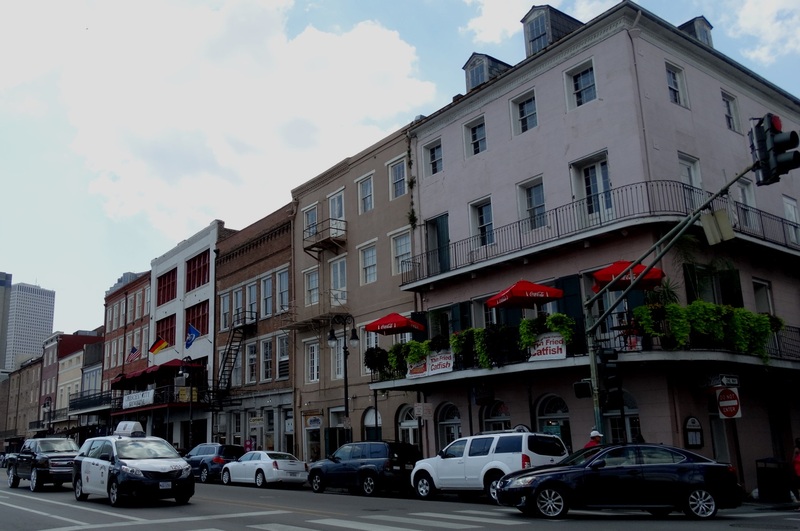 Natasha entertained me with the colorful history of the Big Easy and I was surprised by some of the legends that have evolved through the ages. For instance in 1721, France’s royal engineer designed the city’s layout and named the streets after French royal houses and Catholic saints. So contrary to popular belief, Bourbon Street pays homage to France’s ruling family, the House of Bourbon, not the alcoholic beverage! And did you know that although it started as a French colony, New Orleans was ceded to the Spanish Empire in 1763? Then in 1788, a major fire destroyed 80% of the city’s buildings, and the Spanish rebuilt many of the buildings which are still standing today. This is why the French Quarter displays more Spanish than French influence in their architectural style. Isn’t it lovely? I am very excited to now know how to capture clear photos of moving water, understand better ways to frame my subject, how to use light and shadows to my advantage, how perspective changes with the camera’s elevation, and how to adjust settings on my camera to accommodate less than perfect lighting. Getting to see the beautiful French Quarter was a definite bonus! I look forward to utilizing these new skills as we continue to travel. I am so appreciative of the awesome instruction, and I can’t recommend this workshop highly enough. It was well worth the investment! 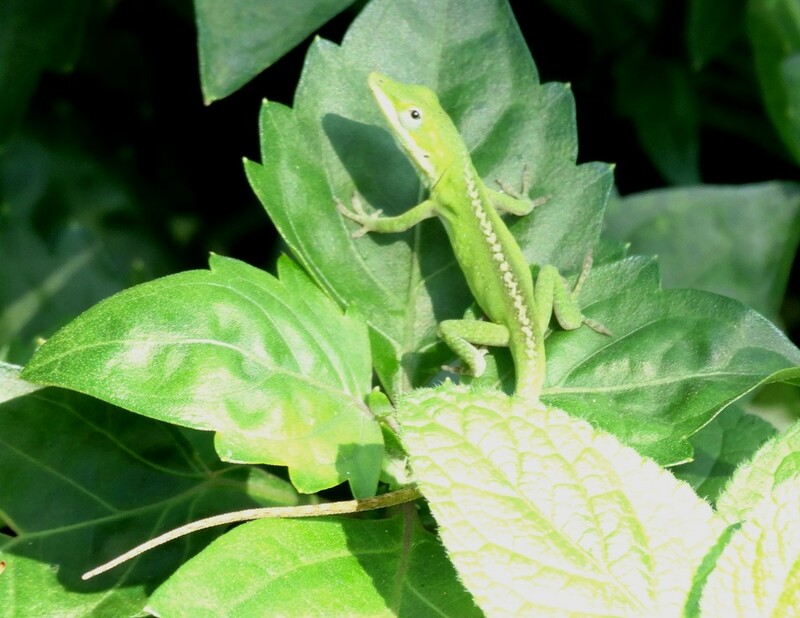 In the attached gallery, I am sharing photos in groups of 2s or 3s that reflect somewhat of a “Before and After” to display how just a simple change can make a world of difference in the appeal of a photograph, and to showcase a few of the new tricks I learned. I hope you enjoy these – click to enlarge and see explanations. 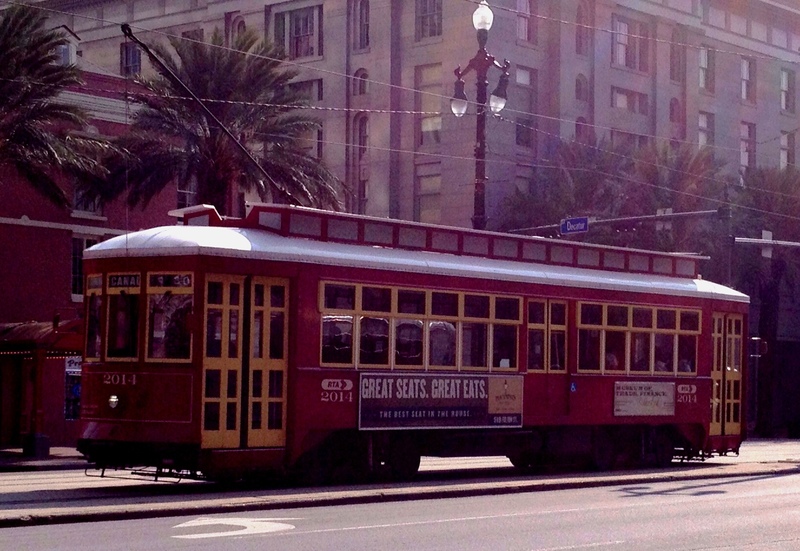 In September 2013 we spent a week in New Orleans, Louisiana. What an interesting and beautiful city, with lots of history, too! Since hubby was in training all week, I got to go out and have fun so that he could live vicariously through my adventures. Lucky me! I have to say the mealtimes during our week were an indulgence in Culinary Delight, but I had no idea when we booked the trip that we were going on a culinary adventure. Our first morning we relaxed and applied every trick we know of to recover from the time change and jet lag, but we were awake way too early despite our best efforts! We decided to have breakfast at the hotel restaurant, and were blessed to dine and visit with our friends, Joe and Amy. 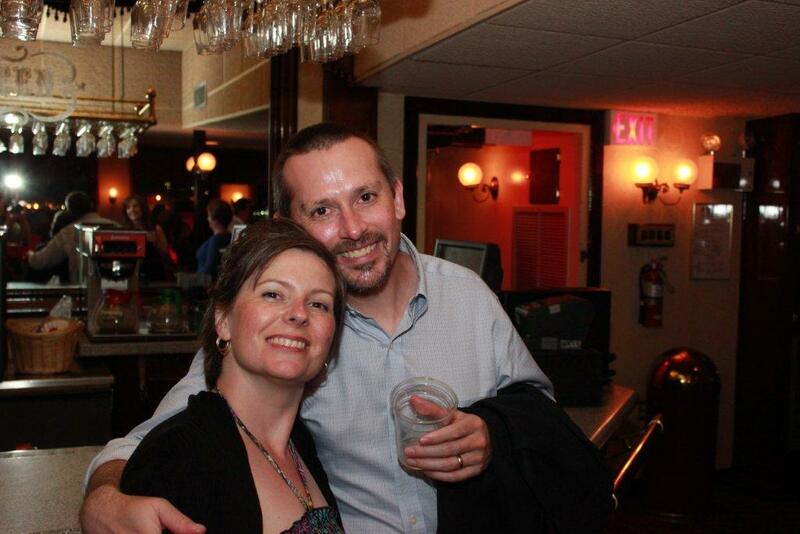 That evening, we joined some of our other friends, Bonnie and Terri, at Dicky Brennan’s Palace Cafe for dinner. We started with the Crabmeat Cheesecake as an appetizer, which was A-MA-Z-I-N-G! 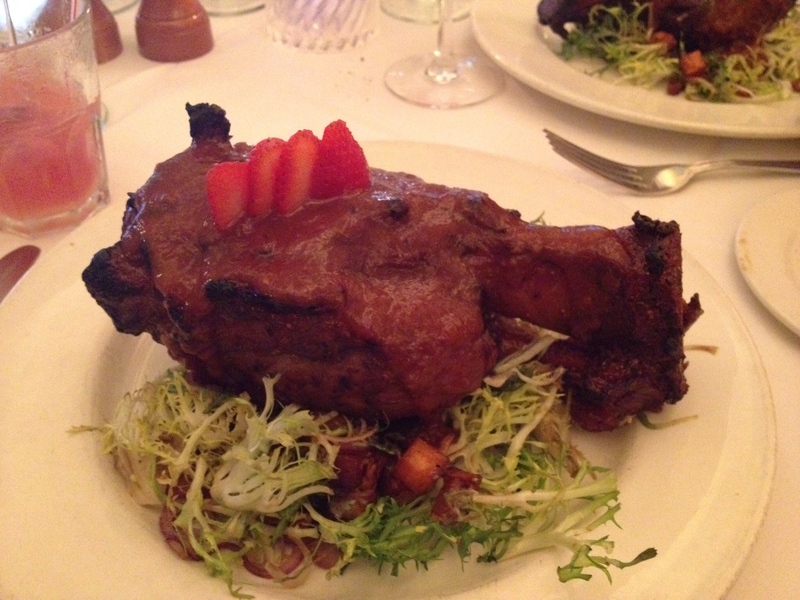 I then had a Crispy Braised Pork Shank for dinner – completely melt-in-your-mouth divine. If you’re in New Orleans looking for a great meal, stop in to Palace Cafe. The food is unforgettable! I was really glad som e of my friends whose husbands work for the same company also came to this conference. We wives had a great time, and it was so awesome to see them! On the left is my kind, beautiful and stylish friend, Bonnie. 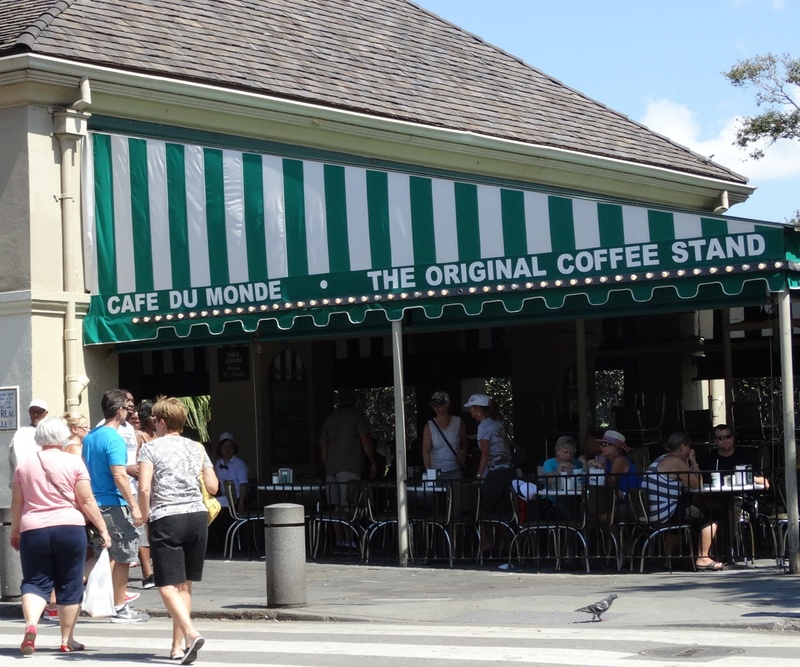 I was with her and a couple other friends at Cafe’ Du Monde enjoying the fare. 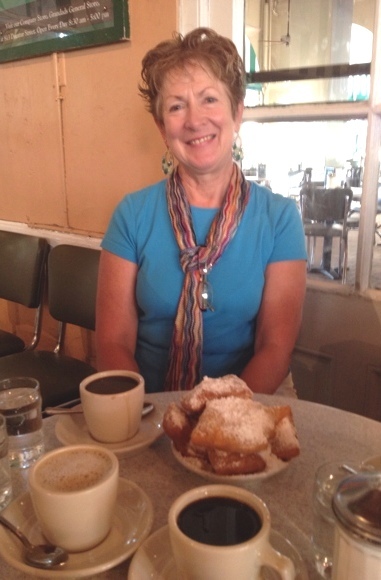 Time with friends, delicious coffee, and fluffy Beignets piled so high with powdered sugar we almost couldn’t find them! It was everything we had hoped for. 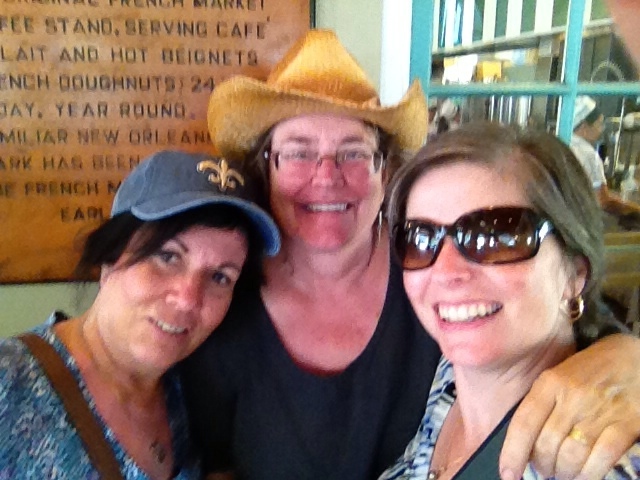 This photo on the right is me with Terri and Amy, also at Cafe’ Du Monde. One of the funniest things on this trip was saying the names of my friends: Amy, Bonnie, Connie, Patty, and Terri. Everywhere we went, no matter who was participating in a particular activity, we all ended in the sound “E”. Still makes me giggle. After having spent over two months in Munich with no literally no support community it was such a treat for me to spend time with these women! While our husbands were attending training, the ladies and I took some time to attend a class at the New Orleans School of Cooking. This was actually a cooking demo (as opposed to a hands-on class) where you get to eat a full meal, after salivating over the aroma as it gets prepared in front of you by the chef. The demo with lunch was just the right combination of instruction, laughter, wonderful cooking tips and New Orleans city and food history. 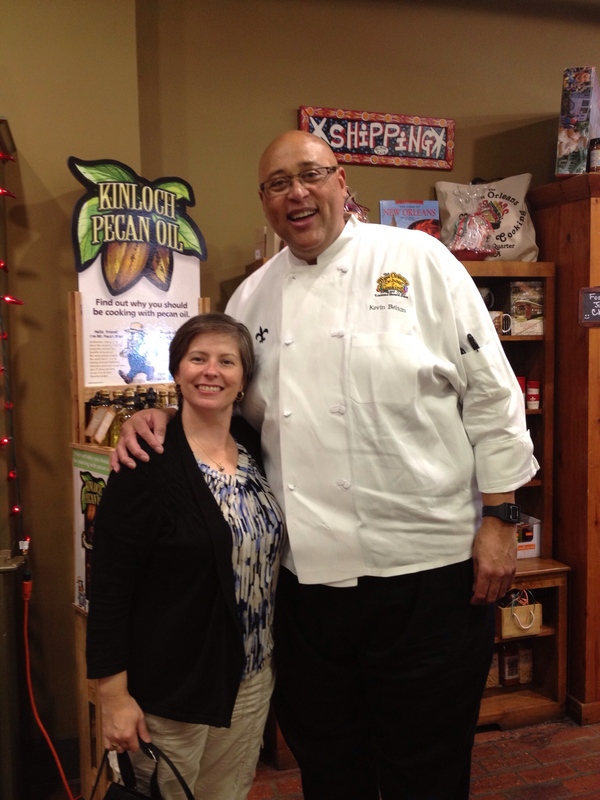 We asked questions, joked and laughed, while we wiped the drool from our chins as Chef “Big Kevin” regaled us with historic tales of New Orleans. For instance: Monday is Red Beans and Rice day because it cooks for a long time without the need for constant monitoring, and that was also traditionally wash day. Our meal was a great mix of Louisiana specialties (Chicken and Sausage Gumbo, Red Beans and Rice, Pecan Pie, and Pralines), and was very tasty and plentiful. The length of the class was perfect! 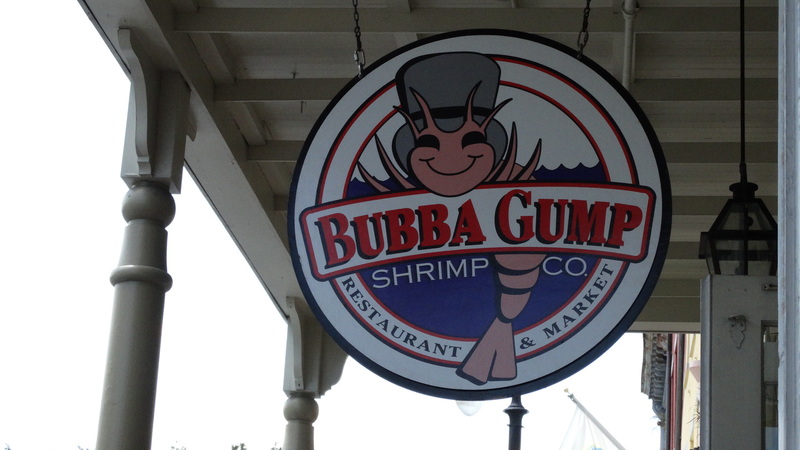 This is a fun way to introduce yourself to Louisiana cuisine and culture. We also enjoyed a short ride on a New Orleans trolley, which is a great way to see the city, but is not guided so we just made up our own stories as went went along! Then, we walking along the streets near our hotel, did a little window shopping, and finally stopped for another famous New Orleans treat – a Muffuletta – at the very place where it was invented, The Central Grocery. 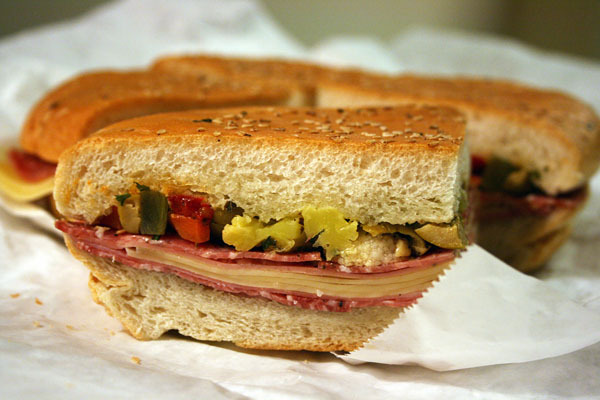 Never had a Muffaletta? If you enjoy Italian food, you may want to try it! This sandwich has everything that a great Italian sandwich should: a delicious combination of Genoa Salami, Mortadella, Ham, Mozzarella, Provolone, a wonderful chunky Sicilian Olive Tapenade (crushed, not chopped), Gardiniera (vegetable relish), oregano, lots of oil all loaded onto the quintessential round muffuletta bread, about 10″-11″ across with a soft center and a nice crust topped with sesame seeds. I can see why this was invented to feed the Italian truck drivers; it’s more than a meal! Three of us split a half sandwich and had plenty to eat! One of the activities planned for the whole group of Bechtel employees and spouses while we were in New Orleans was a collaborative volunteer project to refurbish the athletic facilities on the grounds of the West Bank Federal City YMCA campus. Over 350 volunteers from Bechtel’s construction projects around the world invested a day away from the conference in a day of purpose, making extensive improvements to the long neglected area by cleaning, mowing, repairing and repainting the tennis courts and baseball field, and assembling meals for the Marine Corps. The day ended with the Marine Corps band playing the National Anthem and energetic cheers celebrating team’s impact in the community. After a long day of rewarding work in the hot sun, we got cleaned up and then joined all these folks on a two-hour cruise along the Mississippi River on a famous Steamboat for dinner, enjoying the experience of New Orleans’ beauty at night. What a great evening we had catching up with our friends. 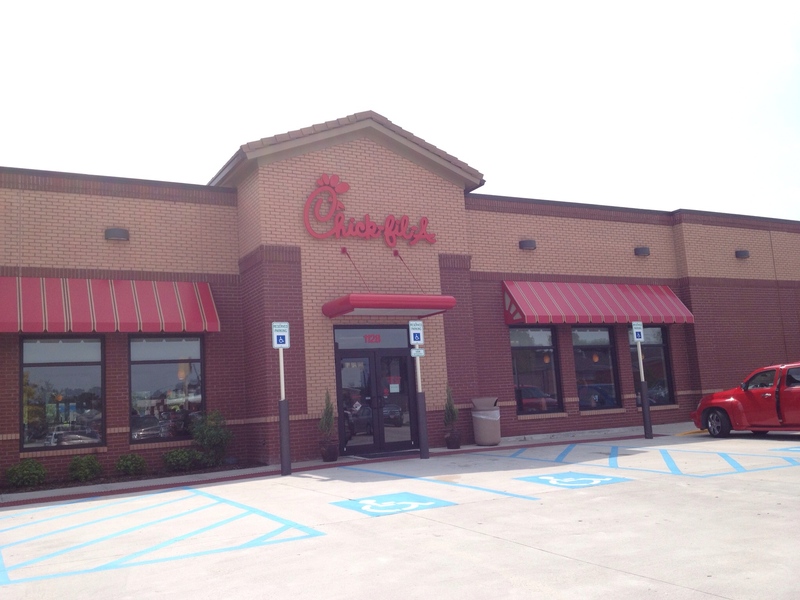 We enjoyed delightful lunches and dinners at several famous spots throughout the week. 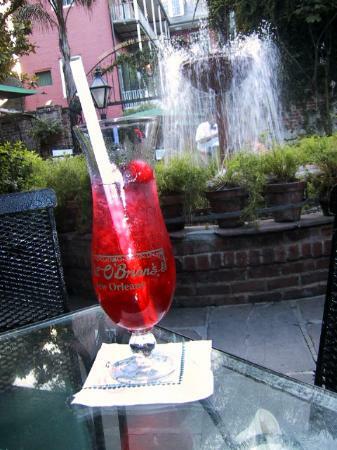 One afternoon, we enjoyed lunch at the iconic Bubba Gump Shrimp restaurant, and then had dinner and a Hurricane at the world famous Pat O’Briens French Quarter establishment after a leisurely stroll down the ostentatious Bourbon Street. These are sights and sounds we will never forget! A good steak is a rare find in Munich, so we also took the opportunity to indulge on our last evening in New Orleans at Emeril’s Delmonico. Let me just say, this whole week was YUM FRIGGIN YUM from start to finish! For the last culinary hurrah while visiting our beloved USA, we couldn’t resist lunch at our favorite fast food place — Chick-Fil-A! Everyone around us stared with a curious “what is wrong with those people?” look as we enjoyed our long awaited chicken sandwich and waffle fries. The OOOOO, AAAHHHHH, MMMMM and YUM sounds being emitted from our vocal chords between bites and swallows was hard to ignore. But we knew it would be a long time before we would again taste this deliciousness so we enjoyed it with every molecule and fiber of our beings. I will be making a couple more posts to share with you all the other fun things we did during this adventure. Have you taken a trip that amazed you with it’s culinary personality? If so, where? If you enjoyed this post, please follow our blog by clicking “Follow” on the upper left or bottom right corner of this page (depending on your browser) and entering your email address. You’ll receive future posts directly in your inbox! No spam, ever! 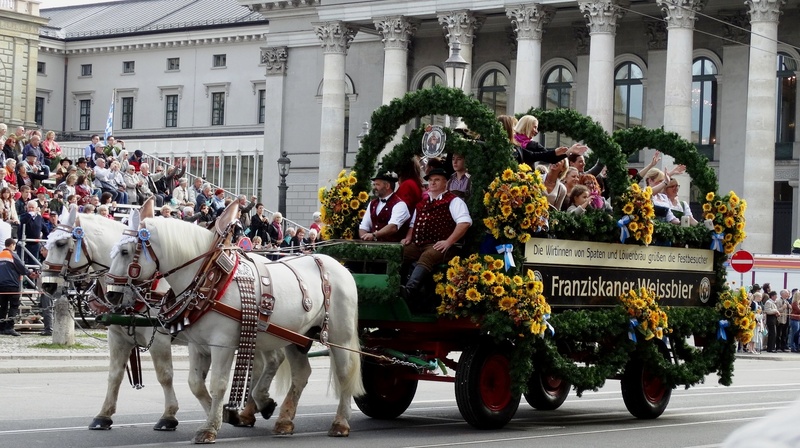 On the morning of Sunday, September 22, 2013, the annual Trachten Parade was held in Munich. What is a “Trachten” you ask? 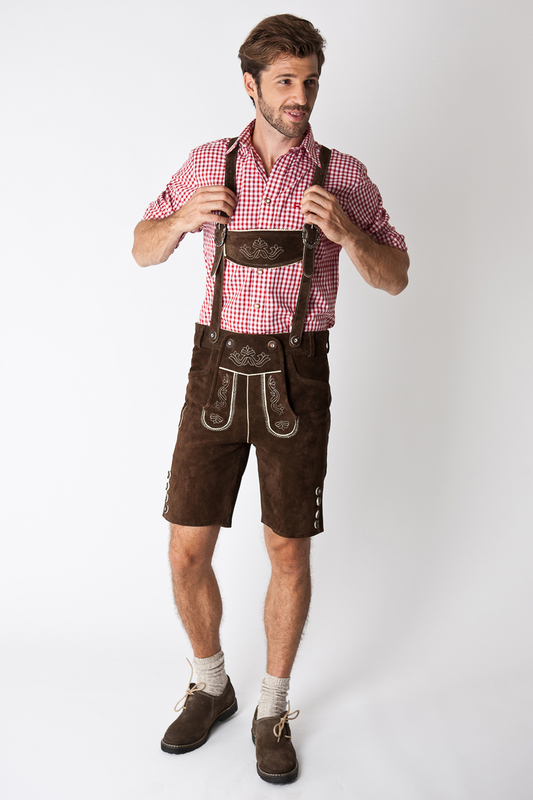 Well, “trachten” is the plural form of “tracht” which is traditional clothing in German-speaking countries, usually consisting of lederhosen for men and dirndl for women. Here we are in our trachten, with our very American sunglasses. Oktoberfest adds another layer of culture and beauty to Munich. We really enjoyed this parade. 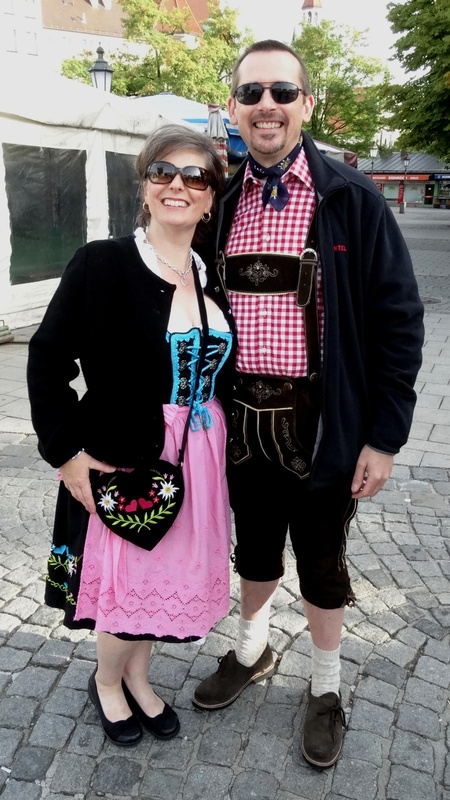 It seemed every community of Bavaria was represented. There were floats from each of the six breweries that qualify to produce Oktoberfest Beer. There are very strict rules and breweries must conform to the Reinheitsgebot (Bavarian Purity Law), which prescribes standards for the sale and composition of Bavarian beer. In addition to meeting those standards, the beer must also contain a minimum of 6% alcohol by volume and be brewed within the city limits of Munich to qualify to be served at Oktoberfest. German breweries are very proud of the Reinheitsgebot, and many claim to still abide by it. Some people will tell you that the purity of German beer will negate any possibility of a hangover, but I caution you to be skeptical of that rumor! One interesting tradition I learned about while watching this parade is Bavarian Whip Cracking, or Goaßlschnalzn. Historically, carriage drivers used elaborate crack sequences to signal their approach and to identify them. Over time horse-drawn transport dwindled, but the tradition remained, and coaches practiced their skill in their spare time. Today the Goaßlschnalzer (“whipsnappers”) do concert performances, often in bands that include conventional musical instruments. Whipsnapping is also a traditional sport in Bavaria, and there are many whip-cracking associations here. Check out this video and see if you think it’s cool too. During the parade, almost everyone we saw was donned in traditional trachten. There were marching bands, children, bassinets on wheels, floats representing cities or breweries, Hops decorating many of the floats and other props, proud representations of hunting prowess, and even some performers dressed as jesters. I hope you enjoy the slideshow below. Tomorrow marks the first day of the first weekend of Oktoberfest, an annual 16-day festival celebrating beer in Munich. 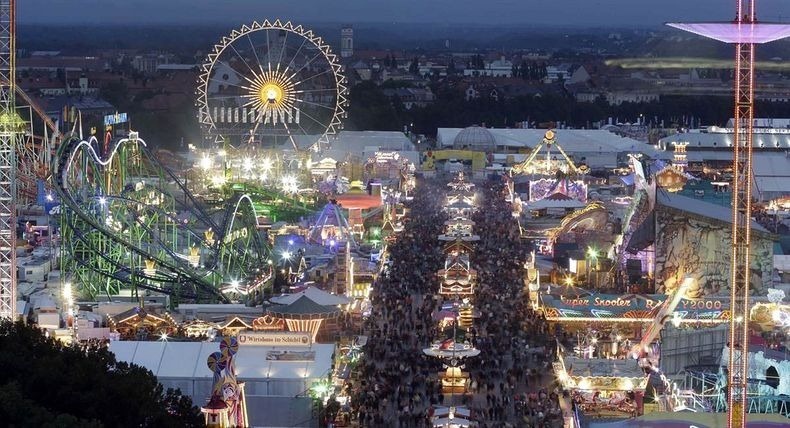 It is one of the most famous events in Germany and is the largest festival in the world. 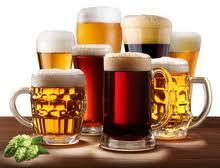 Let’s call it what it is … a Beerfest! Oktoberfest is an important part of Bavarian culture. The tradition started as a wedding celebration for the Bavarian crown prince King Ludwig I to princess Therese from Saxony-Hildburghausen on October 12, 1810 which was attended by the local community. 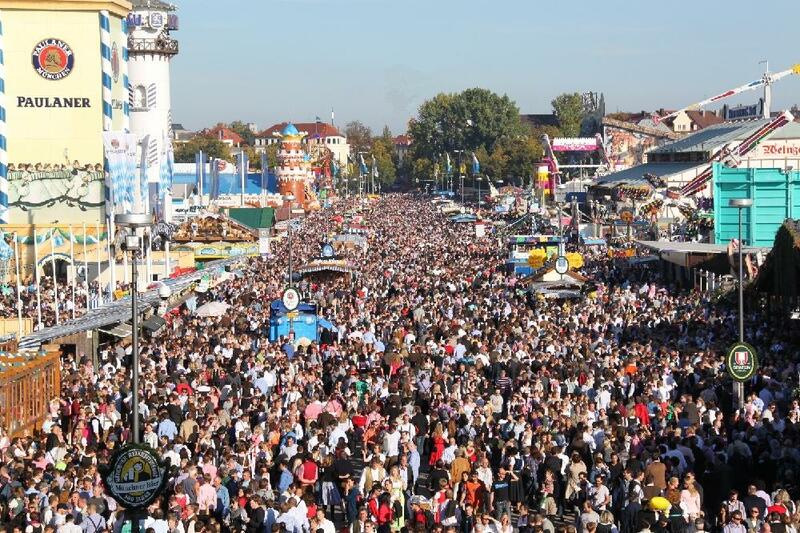 Today the Munich Beerfest takes place during the sixteen days up to and including the first Sunday in October and is still held at the Theresienwiese. 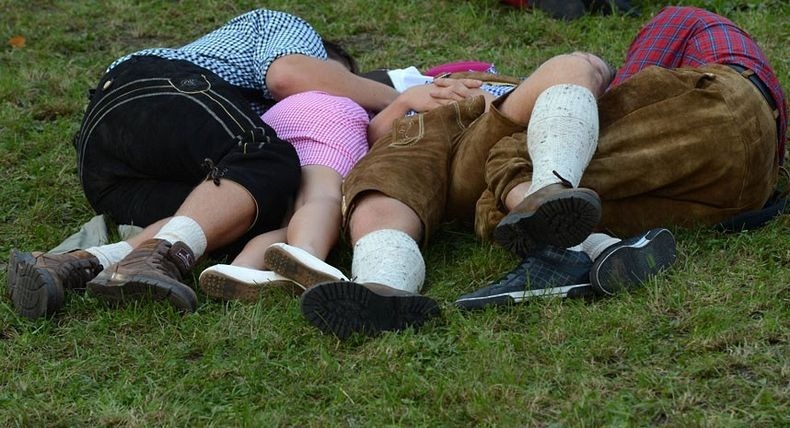 In fact, the locals still refer to the event simply as the “Wies’n”. So “welcome to the Wies’n” simply means “welcome to the Oktoberfest”! 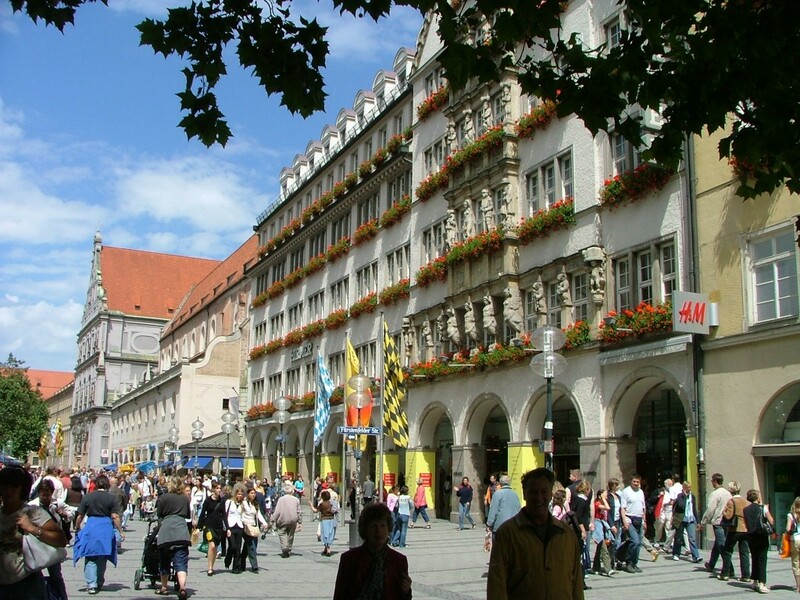 On a normal day in Munich, the population is about 1.4 million people, with foot traffic busy but reasonable. Beginning tomorrow we will have more than 6 million people from around the world here in Munich. Things are about to get crazy! For the next few weeks, excessively large quantities of Oktoberfest Beer will be consumed, with more than 7 million liters (that’s about 1.5 million gallons for those who haven’t yet mastered the metric conversions) served during the party. Attendees will also enjoy a wide variety of traditional Bavarian foods such as Hendle (roast chicken), Schweinebraten (roast pork), Steckerlfisch (grilled fish on a stick), fresh Brezeln (pretzels), Knödel (potato dumplings), Käsespätzle (cheese noodles), or Sauerkraut with Weisswurst (a white sausage). There is also a fair, with amusement rides, roller coasters and carousels galore! Lost and Found: You can imagine with all these people, and all this beer, people might lose a thing or two. Last year, according to the German Newspaper Spiegel, the number of children lost rose significantly from the previous year, almost doubling – to 93 – quite in alignment with the increased number of people passing out, also on the increase. At any rate, we can already see an increase in the car and foot traffic, and we’re also hearing many other languages on the street. We’re in for an interesting couple of weeks! More pictures will be forthcoming.